Robin is a singer/songwriter, guitar and bass player. Her musical stylings are: singer/songwriter to melodic pop/rock with a sophisticated adult contemporary feel. She creates a style all her own. 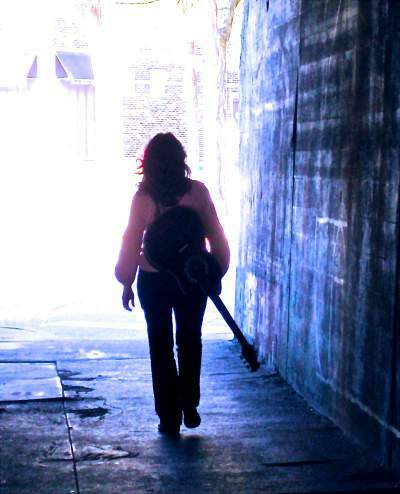 She has been singing, writing and performed in rock and fusion bands over the years, as well as combined her talents in singer/songwriting collaborations, throughout the Chicagoland area and California, and has now gotten back to her solo roots. Her song, ‘Code of Silence’, from her 5 song EP – ‘Pure Liquid’ release, was the closing credits featured song for an independent film called ‘Save Me’, which premiered at the Sundance Film Festival and 6 other film festivals, with a limited release throughout the US. She is now back in creative mode in her Pure Liquid Studios, after releasing her latest CD, On The Wake of a Dream, out now! Also available on cdbaby, iTunes, Amazon, Spotify and Tidal.